Blood pressure is one of the vital signs to monitor in order to determine the physical status of a person. It indicates important fluctuations deviated from the normal range, which can be detrimental if left undetected. Having your blood pressure checked regularly can prevent life-threatening complications and can even save your life. To understand blood pressure reading, it is important to understand what blood pressure is. As you already know, the heart pumps blood through the chambers of the heart, then it goes to the vessels to transport the blood throughout the body via the circulatory system. The blood pressure measures the pumping action of the heart. The top number reading is known as the systolic blood pressure, it is the force exerted on the walls of the arteries when the heart contracts to pump oxygenated blood. The bottom reading is the diastolic blood pressure. It is the pressure reading when the heart is resting in between beats. For healthy people, their blood pressure falls within normal range. But for those who suffer from stress, anxiety, high cholesterol, obesity and the like, they have increased risk of having a high blood pressure and in severe cases it can lead to heart attack or stroke. On the other end, some people suffer from low blood pressure due to certain diseases or conditions, this can lead to shock or even worse – death. Below is a reference range you can use to determine the blood pressure status of an individual. Low blood pressure is very alarming because it can be very life threatening if prompt medical attention is not rendered. The causes range from dehydration, blood loss and some surgical disorders. It is manageable as long as the origin of the condition is determined and properly treated. 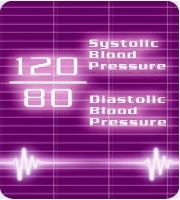 Blood pressure constantly changes throughout the day depending on the level of activity, physical and emotional status. If your blood pressure is normal and it significantly rises, health professional usually takes second and third blood pressure reading before it becomes a concern. If it persists, immediate medical attention is needed. High blood pressure happens as a person grows old. Precipitating factors include faulty lifestyle, poor diet, obesity and familial history. In some cases, certain diseases or conditions cause the blood pressure to increase. That is why Hypertension is categorized into 2 main types. Primary hypertension is also known as Essential hypertension. The etiology of the 95 % cases of essential hypertension is unknown, but it is attributed to physical changes in the body, which includes electrolyte imbalances, arteriosclerosis, and atherosclerosis. Secondary hypertension is usually caused by certain conditions such as kidney and heart diseases. In addition, some over-the-counter medications such as birth control pills also cause blood pressure to increase. So it is important to consult a physician before taking any medication. 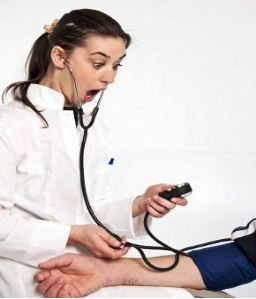 Note: “White Coat” Hypertension is considered as a category of Hypertension. This occurs when a person’s blood pressure becomes elevated when they are in a clinic or a hospital and goes back to normal when they are at home. Before, this type of hypertension is not treated, but some studies conclude that this should be managed the same way as a regular hypertension. Jade Sison. "The Difference between Low Blood Pressure and High Blood Pressure." DifferenceBetween.net. June 11, 2015 < http://www.differencebetween.net/science/health/the-difference-between-low-blood-pressure-and-high-blood-pressure/ >. What precausions should be taken as first aid in case of sudden blood pressure high or low.